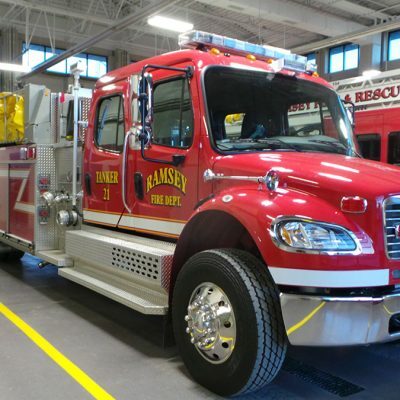 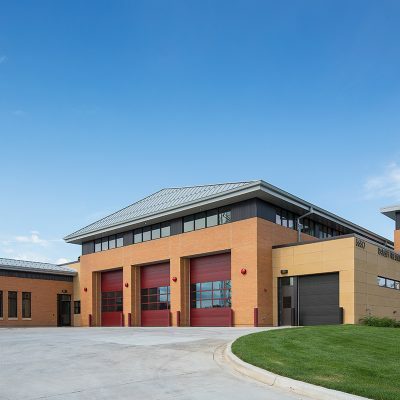 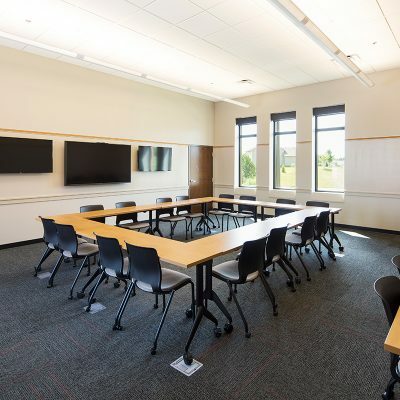 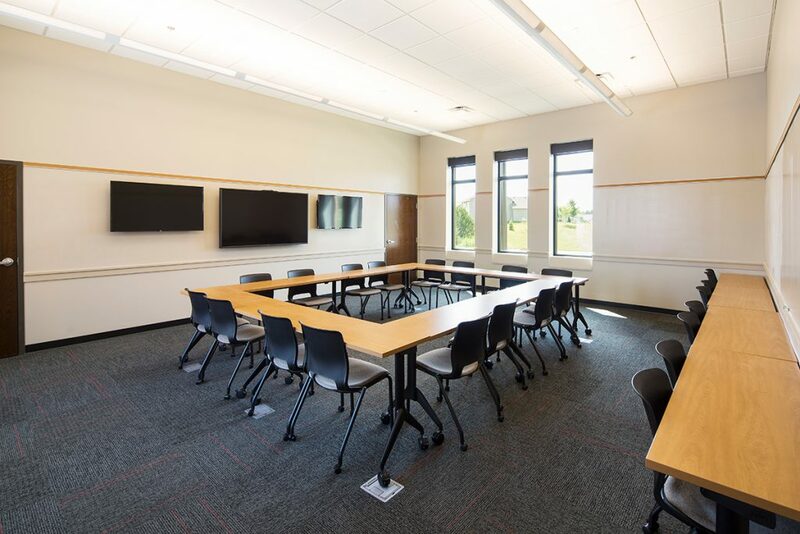 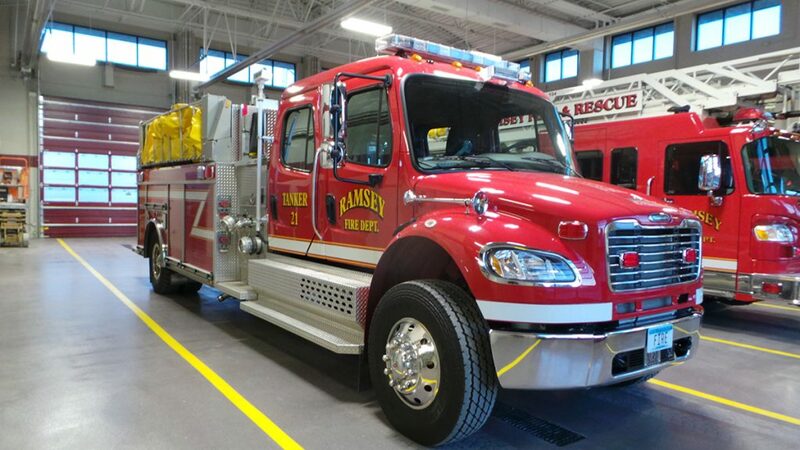 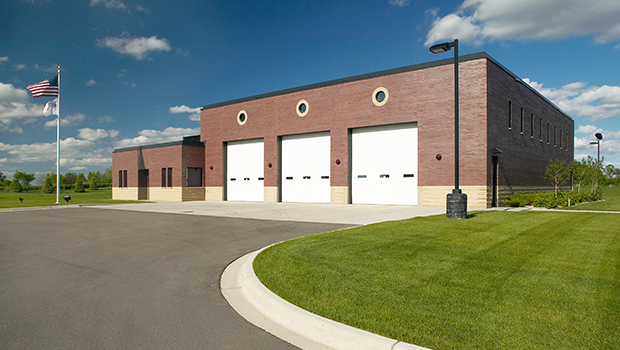 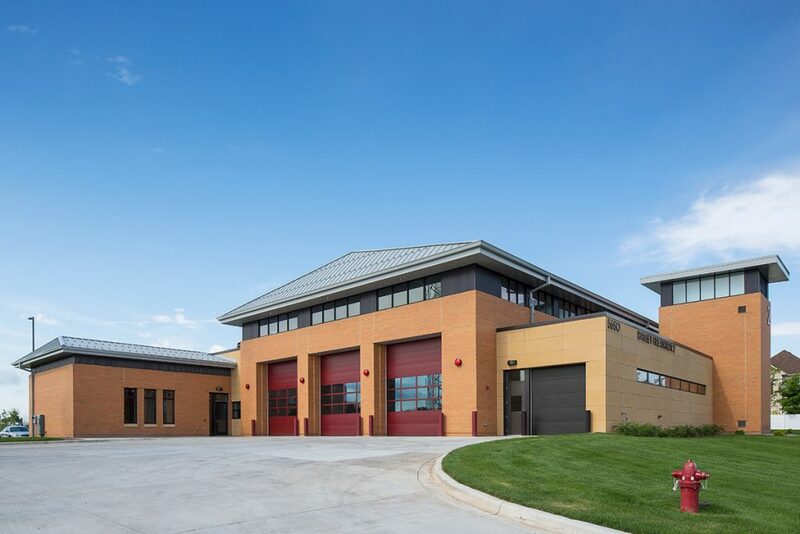 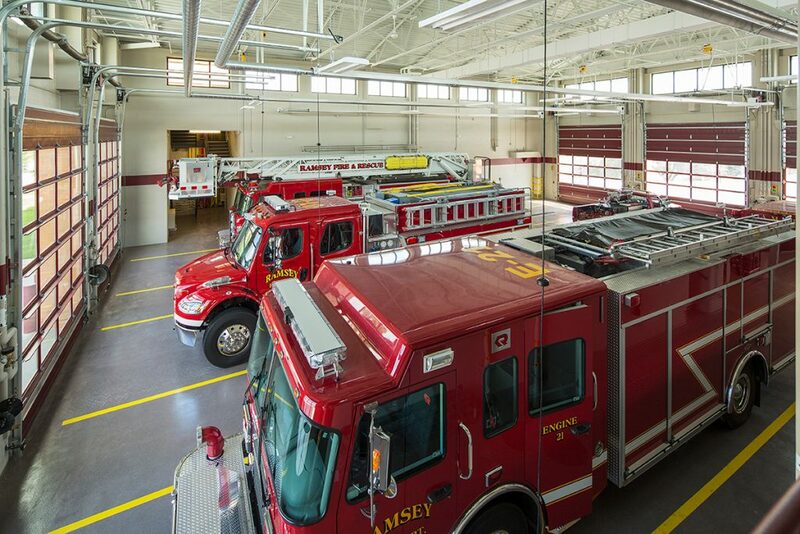 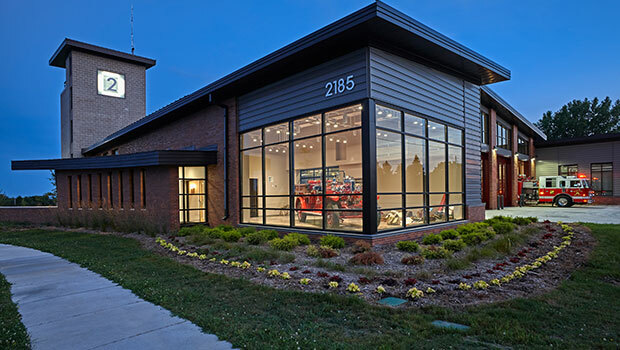 After BKV Group completed a planning & feasibility study in 2012, the Ramsey Fire Department retained BKV Group to continue design development for a new station. 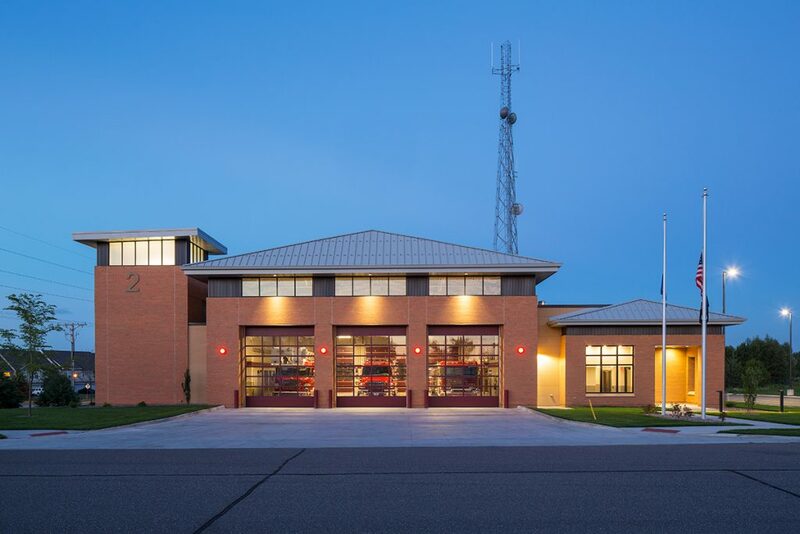 This stage began with review of the program completed as part of the study, and program and area specifications, as the city finalized their financing strategy for the station. 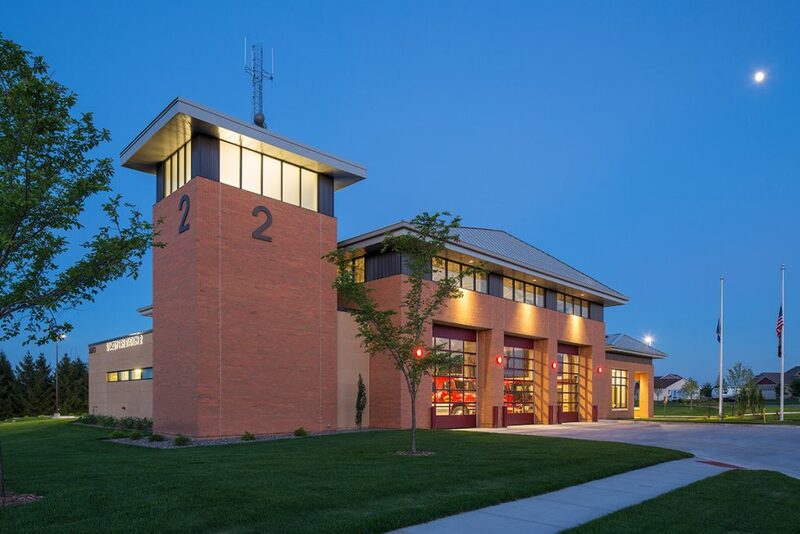 BKV developed the floor plan, as well as completed the exterior design and massing of the building. 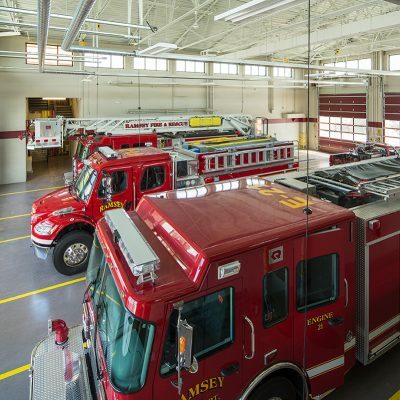 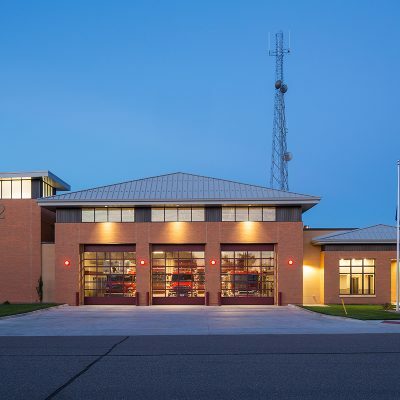 The exterior of Ramsey Fire Station #2 is designed to inspire civic pride and increase public awareness of the Fire Department – two goals that are crucial for recruitment and retention of volunteers and is finished with high-durability, low-maintenance materials to ensure its long-term viability for the City of Ramsey. 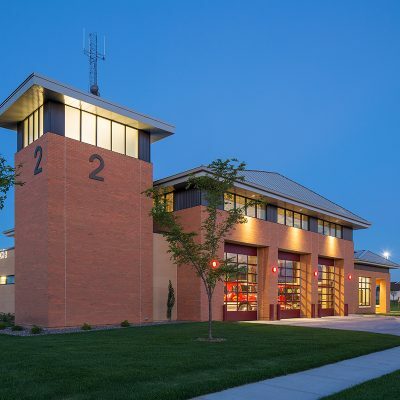 The design aims to improve the existing station’s facilities by providing enhanced carbon monoxide containment, facilities to accommodate a multi-gender workforce, improved physical and classroom training facilities, and a flexible day room and kitchen facility to be utilized as a shared training space. 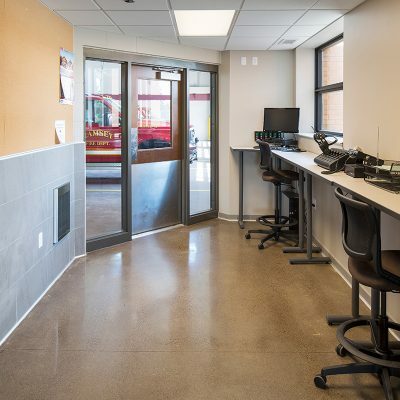 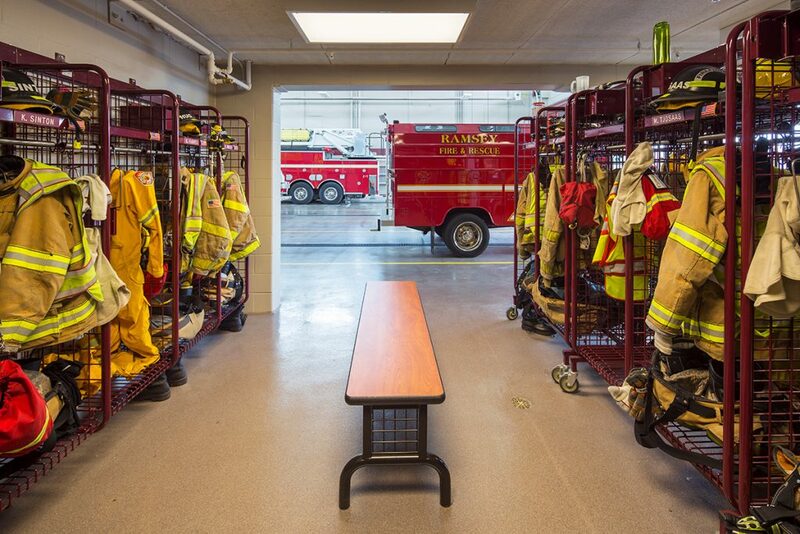 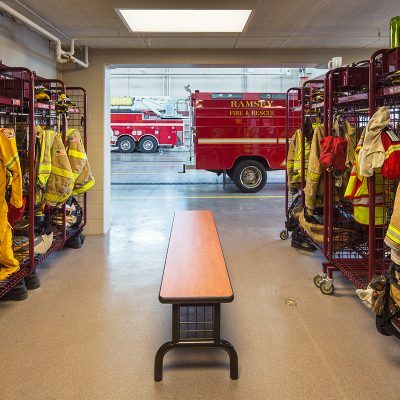 The design also includes more functional gear and equipment storage and maintenance areas than the existing station and integrates a hose tower. 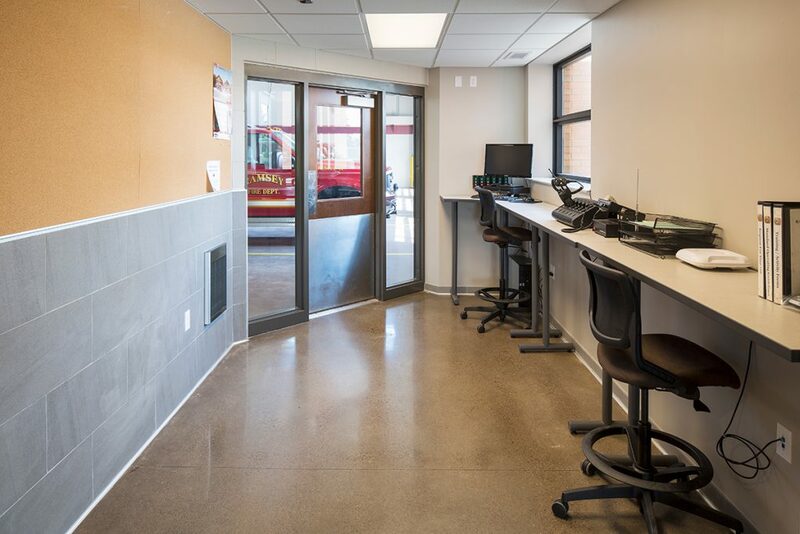 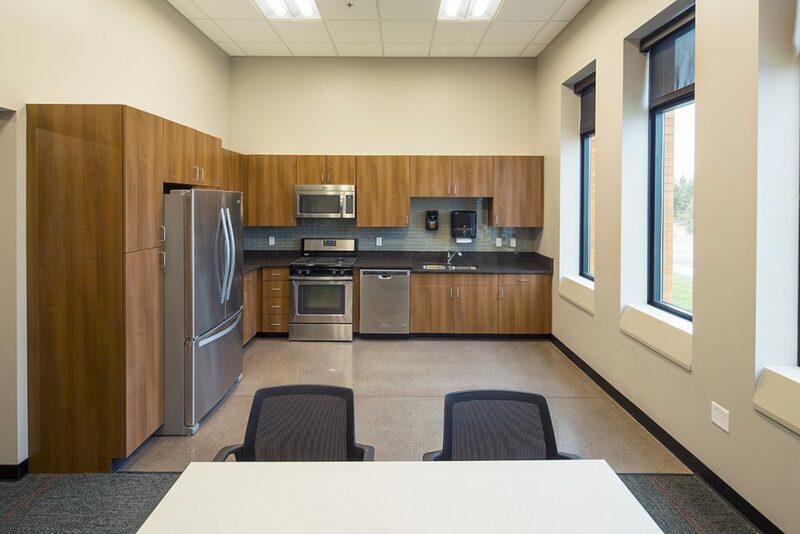 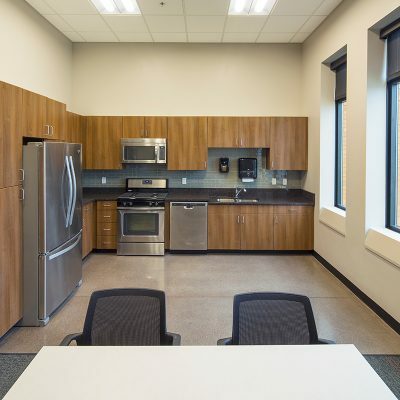 Finally, the new design also includes a small bunk room to provide sleeping quarters outside of the day room and training room for when overnight staffing is required by their paid-on-call staff.